Howard Yegendorf and his team have helped hundreds of people for nearly three decades of practicing personal injury law. Howard Yegendorf & Associates was one of the first personal injury law firms in Ottawa. Howard Yegendorf & Associates was formed in 1999 after the partners of a successful Ottawa business law firm recognized the need for personal injury legal representation. Our lawyers have successfully represented and supported victims and families who are struggling to cope with the catastrophic effects of being injured in accidents. Clients have graciously provided short videos of their stories with us to benefit other victims of personal injury. Since the beginning, Howard Yegendorf & Associates has demonstrated its commitment to giving back to the community. Howard Yegendorf and Najma Rashid regularly author articles to provide in-depth information on personal injury law, insurance and other complex issues. Our blogs are designed to help personal injury victims understand aspects of the law and their own situations. 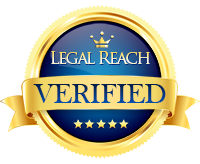 Many popular questions and answers on personal injury law and our firm are available here. Howard Yegendorf and Najma Rashid have provided short videos about their experiences as lawyers dealing with insurance companies. Najma Rashid has been a personal injury lawyer for over a decade, vigorously representing her clients in civil actions and insurance claims.